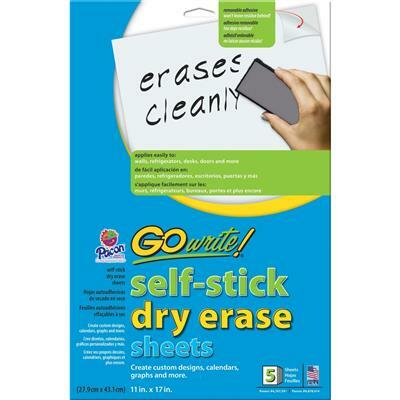 Dry-erase sheets feature ultra-removable adhesive on the back so you can create a dry-erase board anywhere. Stick to the wall, door, table, desktop or refrigerator. They are great for meetings, to-do lists, classroom activities and much more. 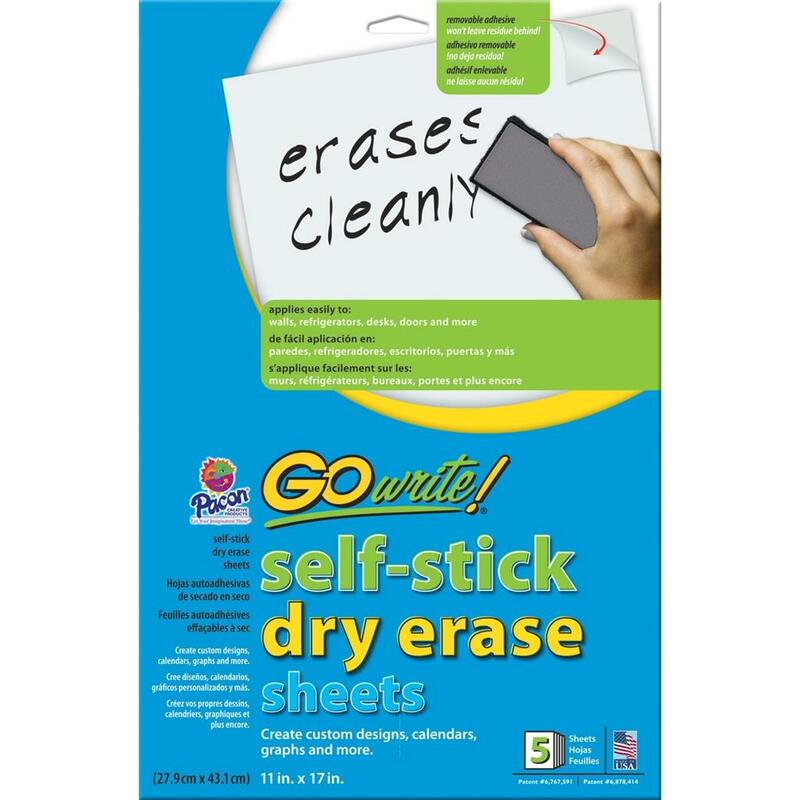 Each sheet erases cleanly and has a full-adhesive backing. When removed, the adhesive does not leave residue behind. Dry-erase sheets are recyclable.